The first generation of the smart fortwo electric drive was somewhat of a hit-and-miss effort: while some people liked its compact size and its 145-km driving range was enough for urban travel, during one of our test drives, the little car was unreliable and not that practical. However, the second generation was unveiled at the Paris Auto Show and could change our opinion of the two-seater urban runabout. It will be offered in two distinct versions: a hardtop coupe and an open-top variant. Both will get the same drivetrain, an electric motor producing 80 horsepower and 118 pound-feet of torque coupled with a 17.7-kWh battery. This gives the car an driving range of 159 kilometres for the coupe and 154 for the cabriolet. To maximize its range, top speed is limited to 130 km/h. 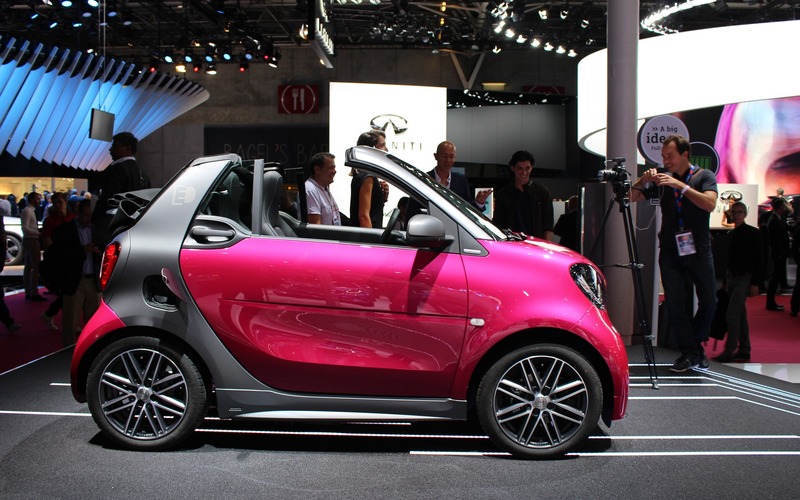 According to smart, the fortwo electric drive can be fully recharged in two and a half hours. The smart fortwo electric drive will arrive in North America next spring, and the droptop will be here during the following summer.